Coming in 2016, Abu Garcia’s new Max™ reels are dedicated to giving everyday anglers professional results ay a modest price point. Each reel features a machined-aluminum ported spool, a one-piece graphite frame and graphite side plates. 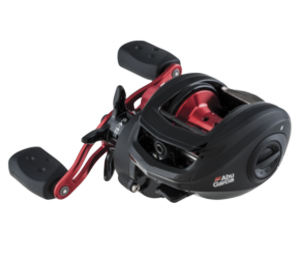 The new Pro Max features an adjustable MagTrax™ casting brake, a seven-plus-one stainless steel bearing system and a 7.1:1 gear ratio. The Silver Max boasts a five-plus-one bearing system and Duragear™ brass gear, Power Disk™ drag system and a 6.4:1 gear ratio. Rounding out the Max family is the Black Max with its 6.4:1 gear ratio, Power Disk drag system, and an ergonomically engineered handle and star drag for greater comfort and feel.